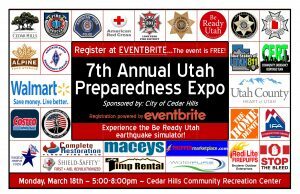 Everyone is invited to the city’s seventh annual Multi-City Family Preparedness Expo, which will take place on Monday, March 18, in the Cedar Hills Community Center. The event will be very helpful in organizing your household for emergencies, and it will give individuals, families, businesses, and everyone an opportunity to become involved in this important community effort. Our goal is to have a representative from every household attend. 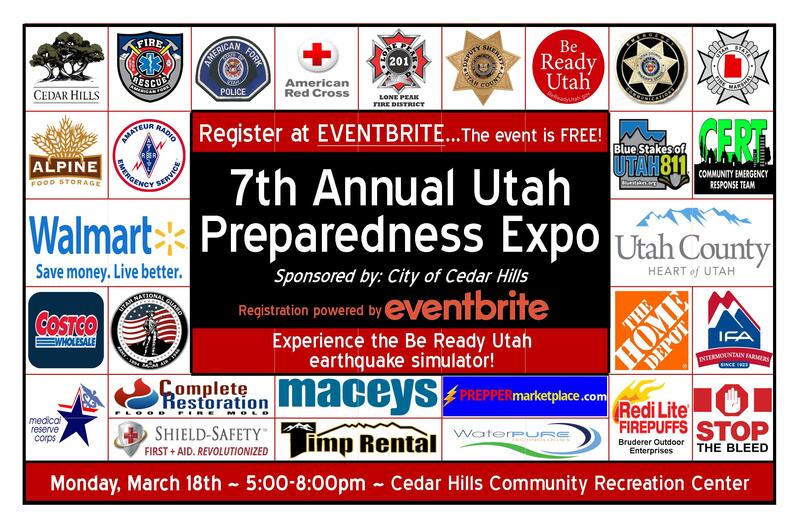 Preparedness vendors will be on site offering freebies and giveaways. Let us know that you’re coming to this free event on Eventbrite! For more information, please contact the Cedar Hills emergency management coordinator, Laurie Petersen, at lpetersen@cedarhills.org.